Toptalers and guests from the Stockholm area, you are invited to join us for an evening of networking. Get to know Toptalers in the area, and enjoy some great conversation. 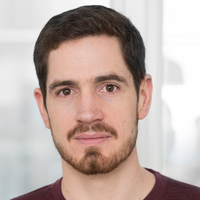 The event will be hosted by Pierre Killy: a Toptal product manager and developer, and the Community Leader for Stockholm. Feel free to invite your contacts who may want to learn more about freelancing with Toptal. The event starts at 6:00pm at Madrid TapasBar. Please RSVP on this page to give us an accurate headcount, and feel free to contact Pierre with any questions.